Credit card is one of the most payment tool for customers and seller's management as well. 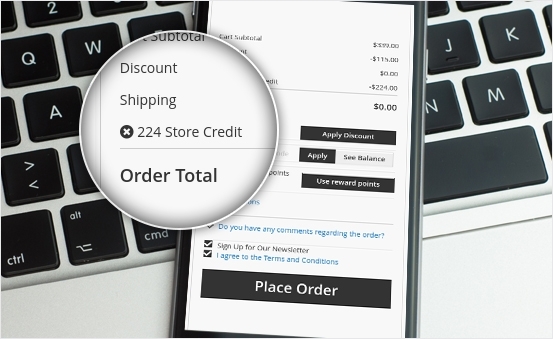 So, allowing to use Store Credit is an ideal way for you to attract customer and time-saving for the Checkout process. 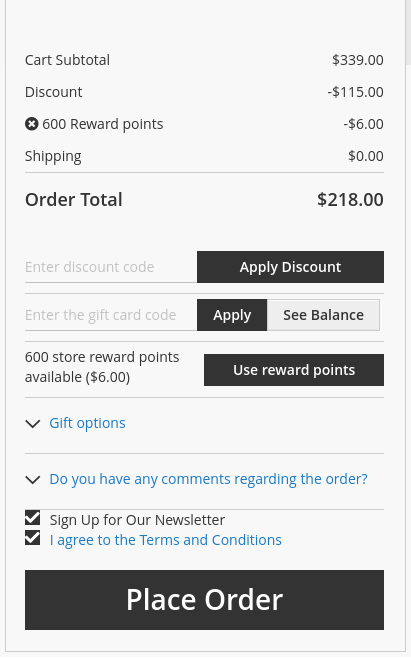 Get many reward points after purchasing products will keep customer's loyalty. 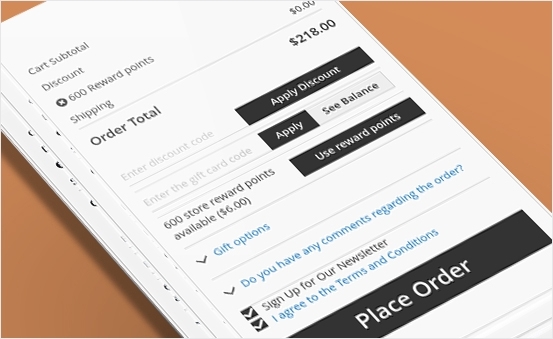 Once transacting conveniently, they will returns many times later to get more points and apply them to get discounts. 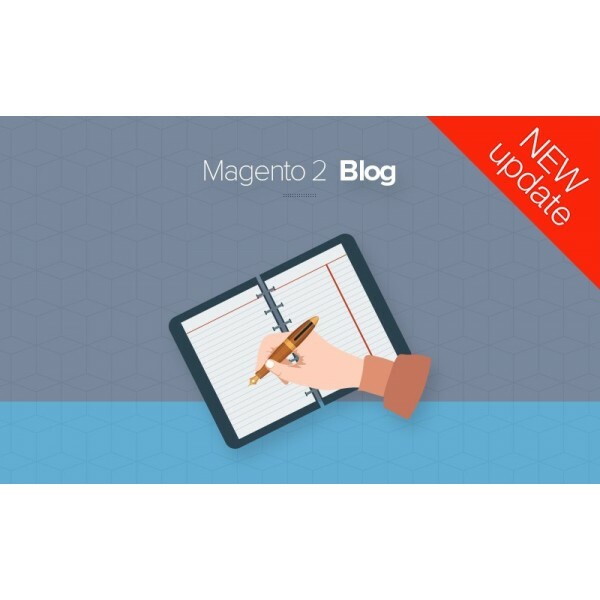 One of the most powerful function is that our Magento 2 EE One step checkout can work perfectly with Magento 2 EE version 2.1.x and 2.2.x, so you no longer worry about its operation. 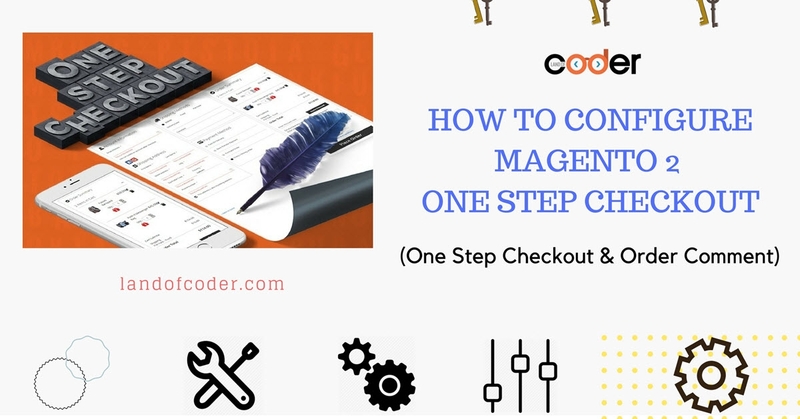 Be more powerful than the default checkout system, with Magento 2 One Step Checkout, all checkout steps appear together on a single page for customers to modify any step at once. 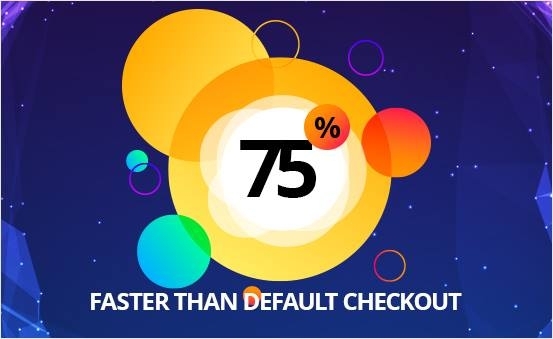 It can bring lots of interesting shopping experience with time saving of 75% on checking out and making payments, which helps to reduce abandon rate significantly. 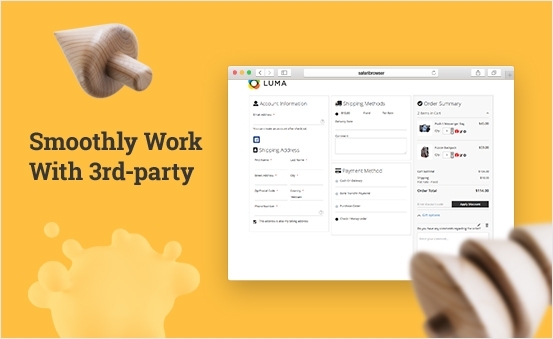 It is very convenient & time saving for your customer to check out by using Social Account such as Facebook, Google, Twitter, Github, Linkedin,etc instead of using or typing long email address. Using this way, one step checkout for Magento 2 enterprise can bring best experience for both you and customer to let your product be exposed to many people. 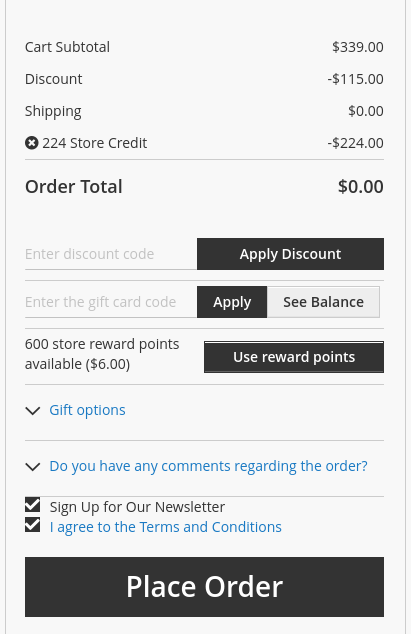 When you want to send all items from your order for someone, you can use the gift option in the One Checkout Page. 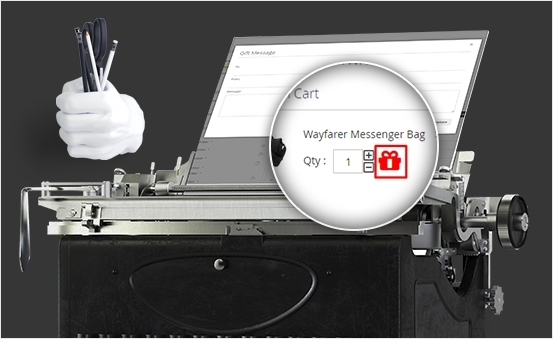 Here, you can type your & receiver information and your message to them as well. 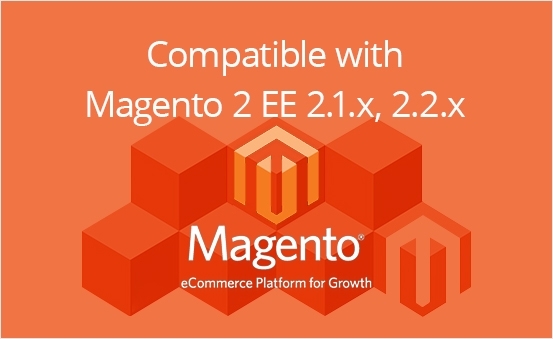 Bring your beloved surprise and happiness by choosing our Magento 2 One Step Checkout EE. 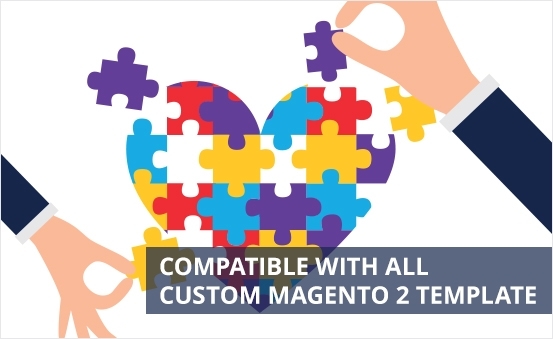 It is easy for you to purchase many products but sending each of them to separated friends or coworkers by using gift items function of Magento 2 One Step Checkout. Only clicking to the Gift icon, you can send message to the one that you want to send items to. 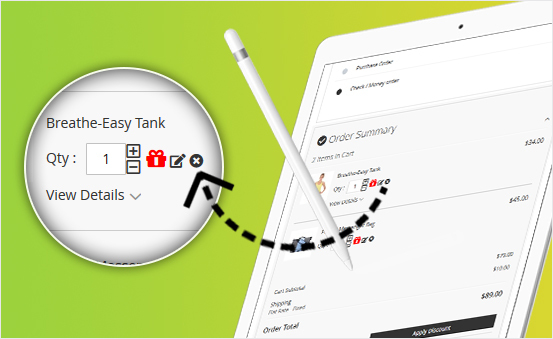 To treat different customers with different attitudes & personalities well, our powerful Magento 2 one page checkout EE provides an order comment box where customers can note any expected requirement for their products, so you can serve them in the best way. 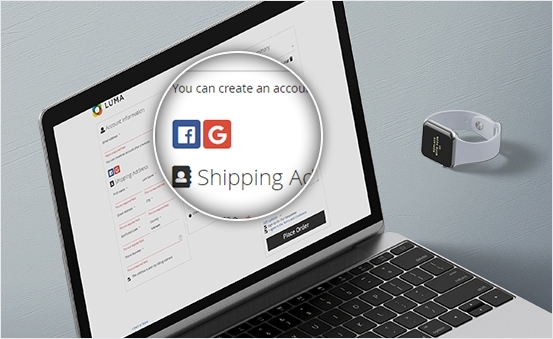 Also, in the shipping method aspect, customers can order delivery for them by choosing shipping method, delivery date & one special function is that there is optional field that let customers add Delivery comment. 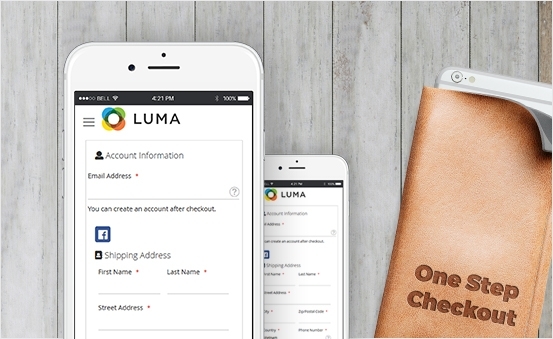 They can enter any notes or even address they want to clarify for the products shipping information. 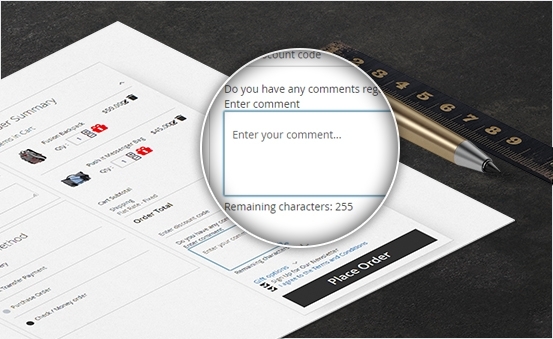 It’s an ideal way to have Terms & Conditions box before placing an order without new open tab or redirecting page. 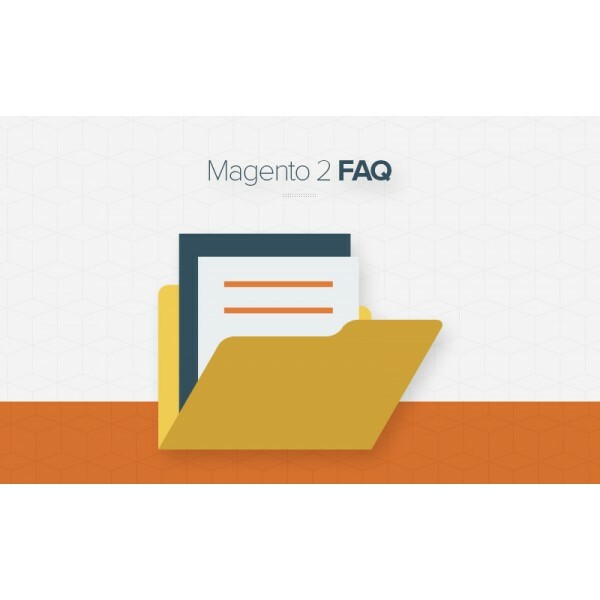 Our one step checkout for Magento 2 enterprise allows you to set Terms and Conditions box to be auto-marked or checked manually by customers. 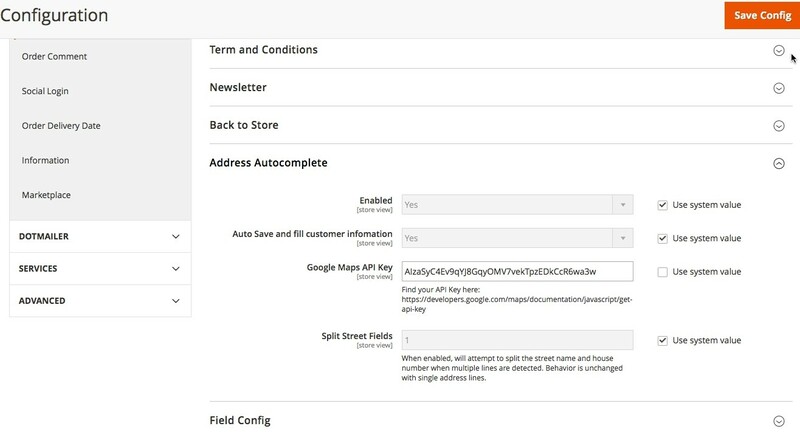 One Step Checkout extension for Magento 2 enterprise is supported with Google Maps Suggestion to provide a list of relevant addresses for choosing when your customers are in-process of typing a few characters. 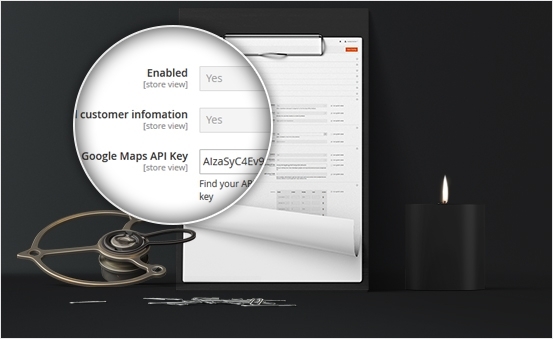 Moreover, they can also use the “Find me” button to let the system find automatically their location and fill in the address field. Google Map Address Suggestion is integrated that help them to fill in the address information field quickly. 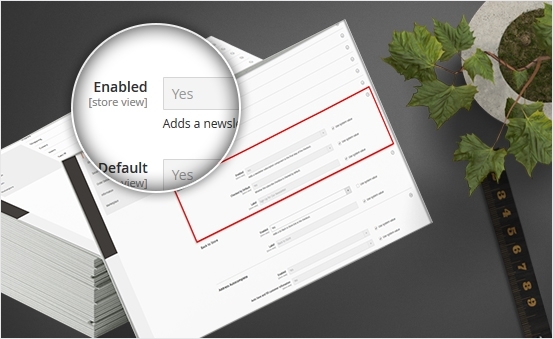 Just 1-click to set or change the position, enable/disable address fields following your expectation. 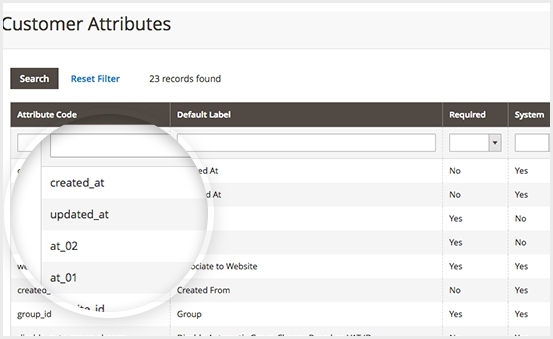 You can easily Show/ Hide/ Rearrange Address Fields or even simply enable preferred fields and set the position for them. 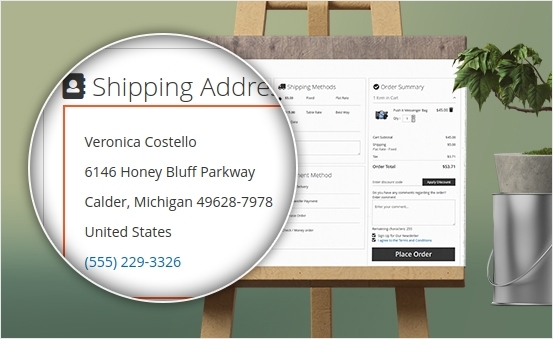 With our Magento 2 one page checkout EE, it's easy to change the billing address position if you want to give the priority to shipping method & payment method information. Everything in your web works fluently based on Ajax. 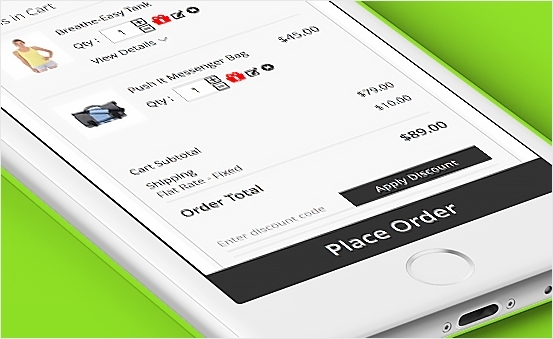 It is possible for you to update shopping cart product quantity when customers want to change their expected quantity automatically such as Add or Remove the number.Reduce your workload, and also reduce your stress when operating to make it well work. 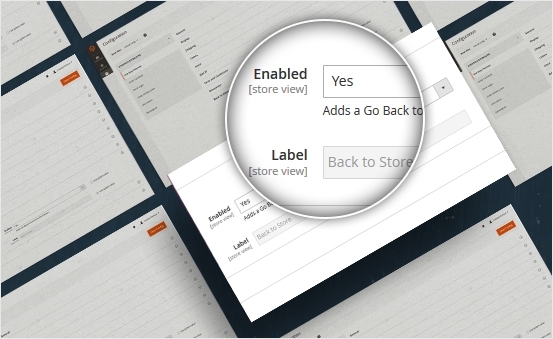 One Step Checkout extension for Magento 2 allows store admin to easily change the checkout page style, color, layout and title without editing and code from the backend. 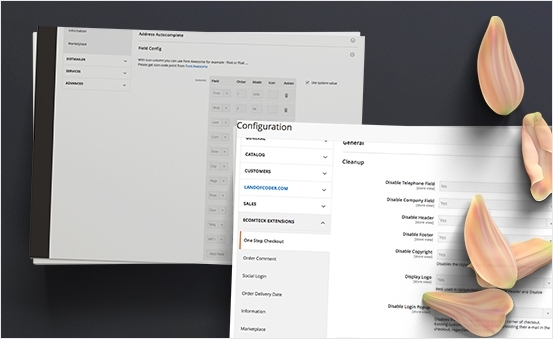 Moreover, below each setting section is the short guidance notes which you can use to configure the One Step Checkout effortlessly. 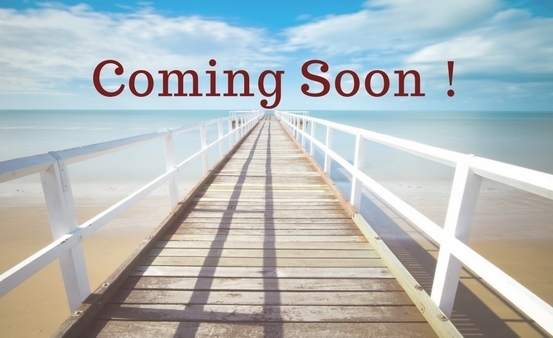 All things can come with your expectation and meet your requirements. 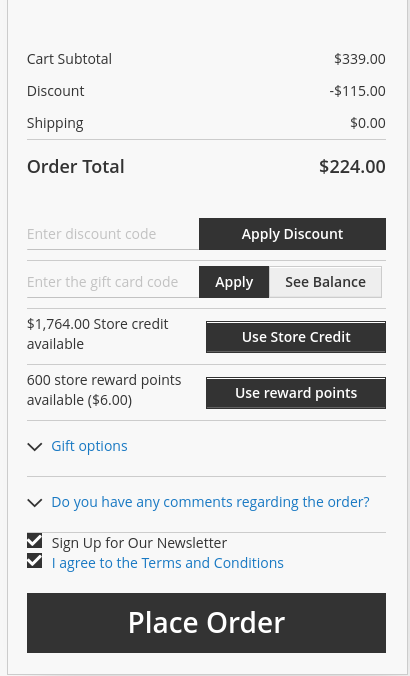 This powerful Magento 2 one page checkout EE can work smoothly on any Magento 2 themes such as Porto theme, Ultimo Theme, Ves Evolution, Ves Flipcart, Ves Global, Ves Flashshop, Ves Owenstore, Ves Bishop,etc. No matter what they are, it can meet the requirements. 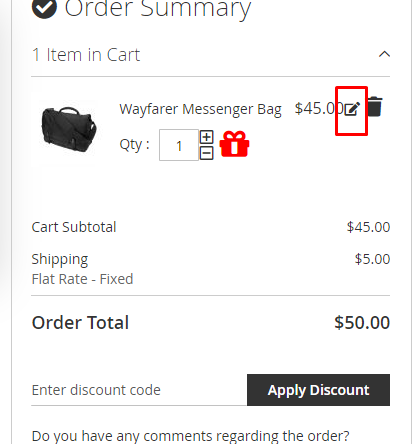 If you want to edit some details of items in the checkout page, you only need to click into the “Edit item” icon and then change the number of items, review for products,etc. All of the changes will be saved after click “Update Cart”. 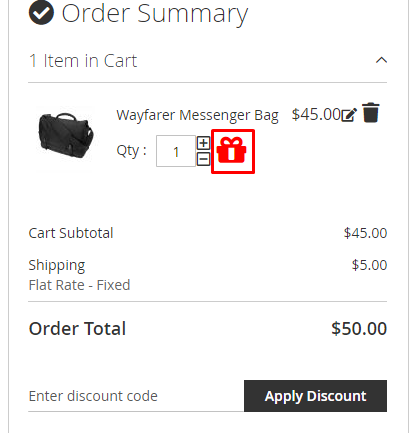 An interesting & convenient function that our One Step Checkout provides 1-click setting to enabled/disabled the function to go back to store linked to the checkout page. So if customer want to come back to store, they only take some seconds. 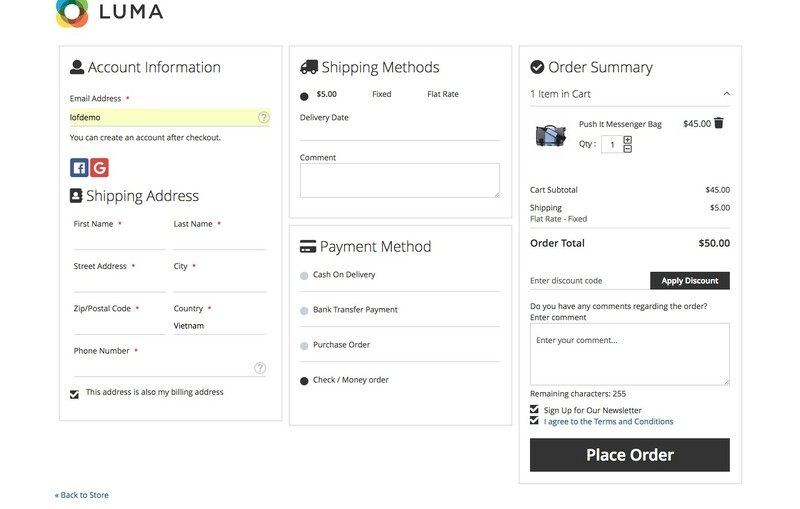 As you can see, the checkout page when using One Step Checkout is designed logically with some clear aspects namely Shipping Address, Shipping Method, Order Summary,etc. 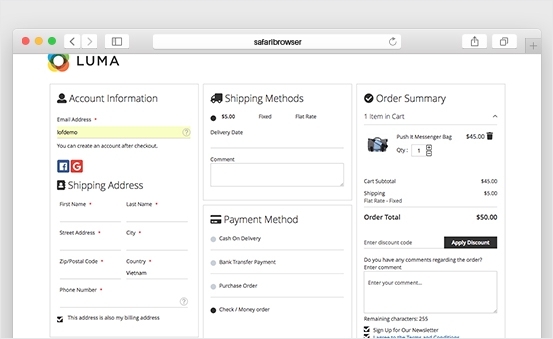 Everything in Checkout process is now more friendly and easy to see for your customers. 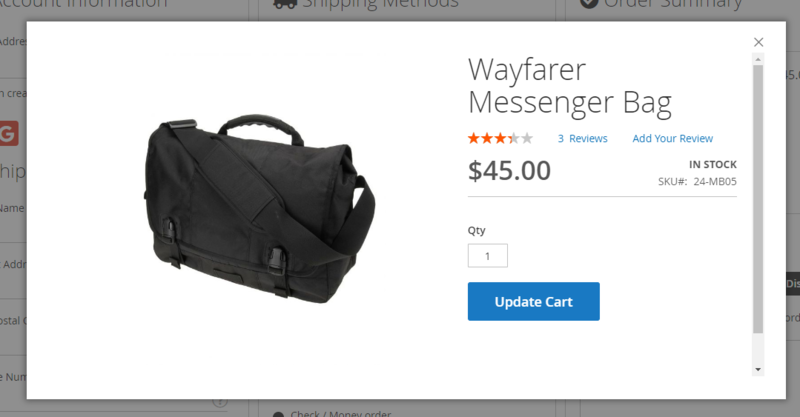 Moreover, all roads lead to Checkout page by automatically redirecting customers to checkout page when they add products to cart. 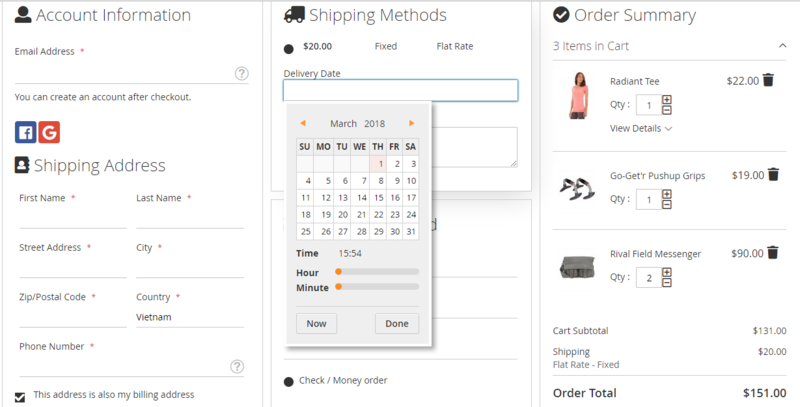 With Magento 2 EE One Step Checkout, your clients can indicate the most convenient & preffered day and time interval for order delivery right on the checkout page, It is convenient for both you & customer relating to the shipping transaction. 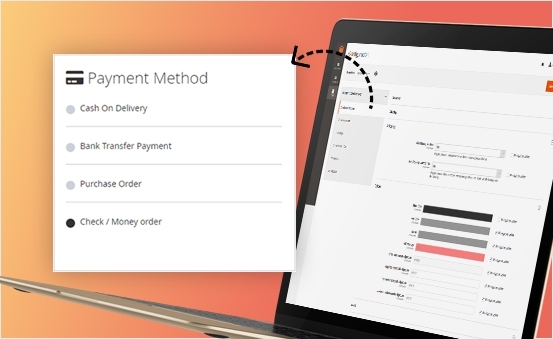 Our Magento 2 One Step Checkout for Enterprise supports multiple shipping & payment methods like Paypal, Paymentwall,etc to meet separating conditions of different customers from a large number of countries all over the world. 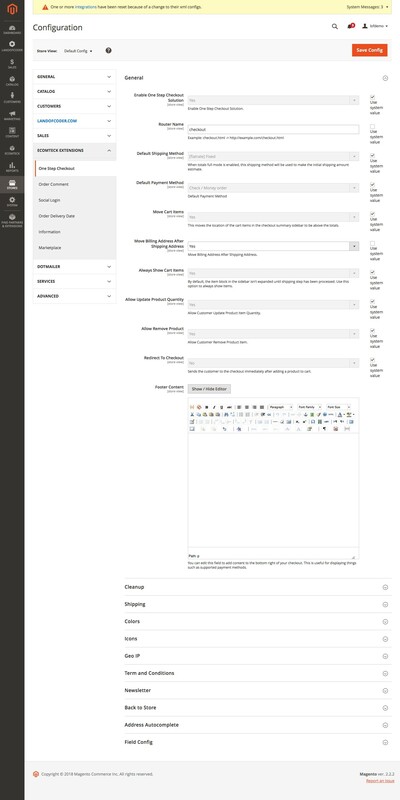 Also, you can be easy to configure the setting for shipping system in backend. 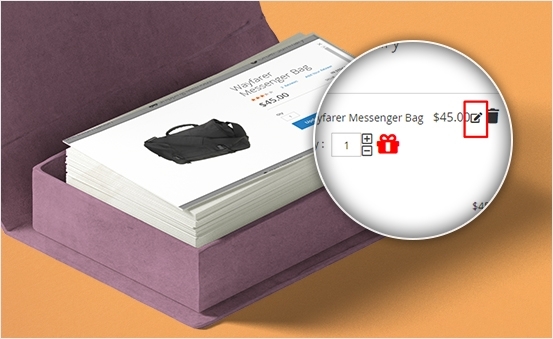 In the shopping cart, it is easy for customers to remove any products that they don’t feel interested any more. 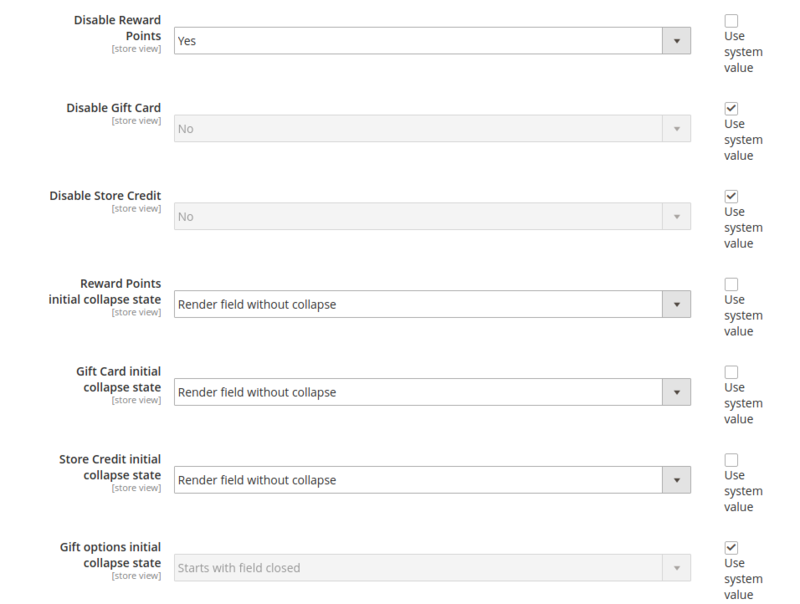 Just only clicking into the “trash bin icon” or change in the box of quantity, all actions to remove or edit purchased items can be done quickly. 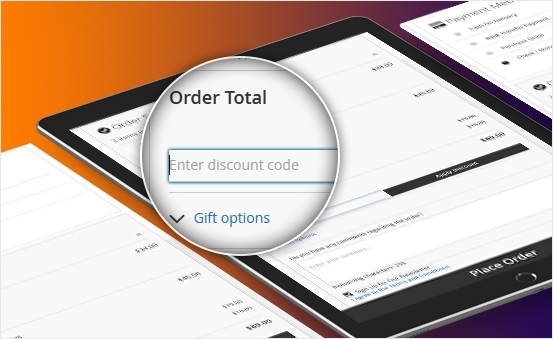 Offering discount codes in different occasions is an ideal way to attract more & more customers for your store. 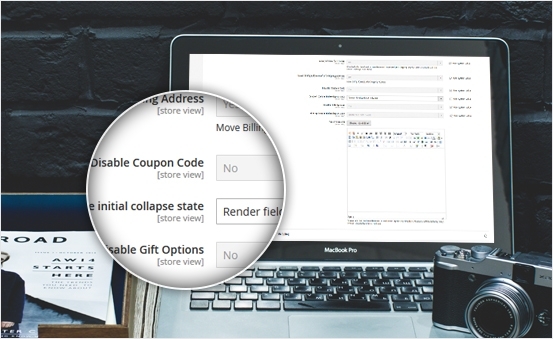 The customer only need to receive the code & then apply that code in the required field on checkout page directly without reloading the page. 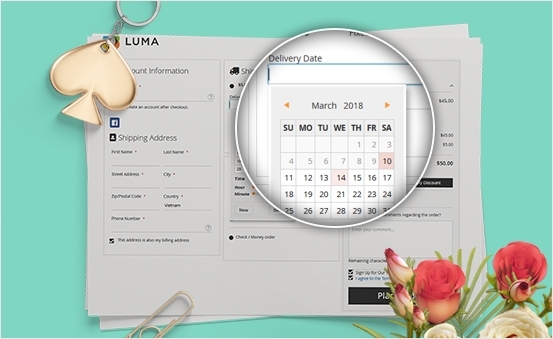 In the one page checkout, “Place Order” button always appears, which can catch the customer attention & push them to click on when satisfying with our products. 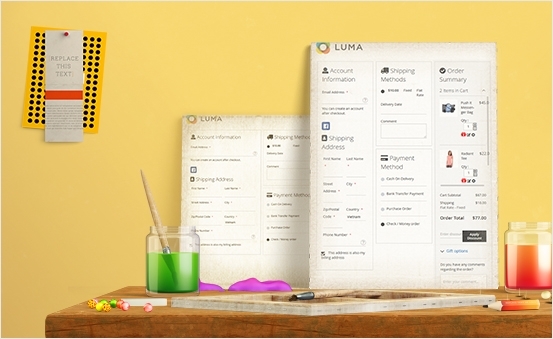 We offer you the best UI/ UX layout with both Material design and Flat UI, along with 3-column checkout page. You can choose any New & Optimized kind of material that is suitable for your store to make it more explosive. 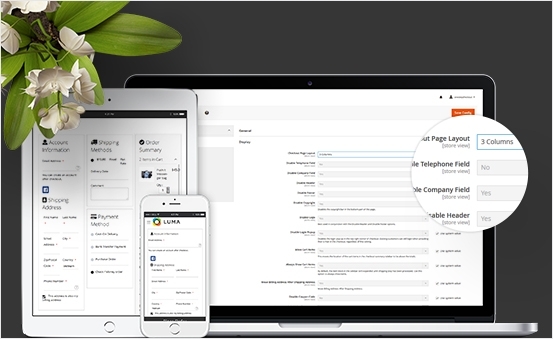 All actions are taken place in the beautiful, neat & clean interface with white background. 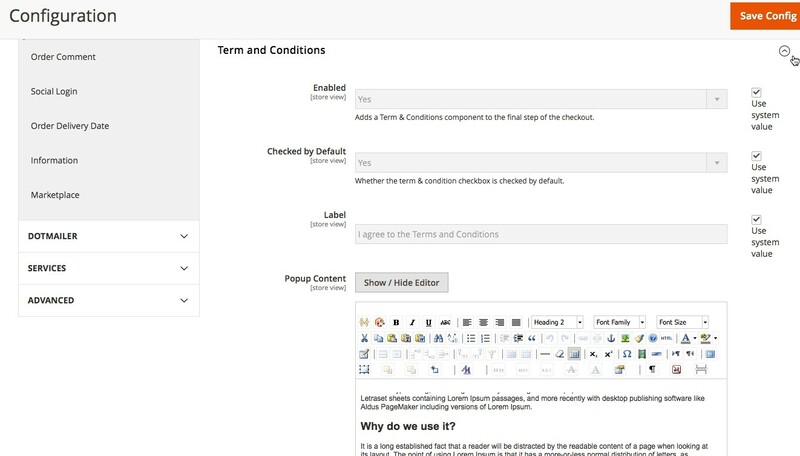 Additionally, unnecessary field has been removed to keep the form as much simple as possible. 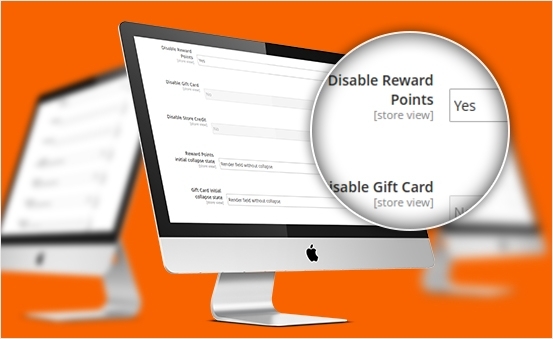 These features can help customers feel comfortable when shopping in your store. 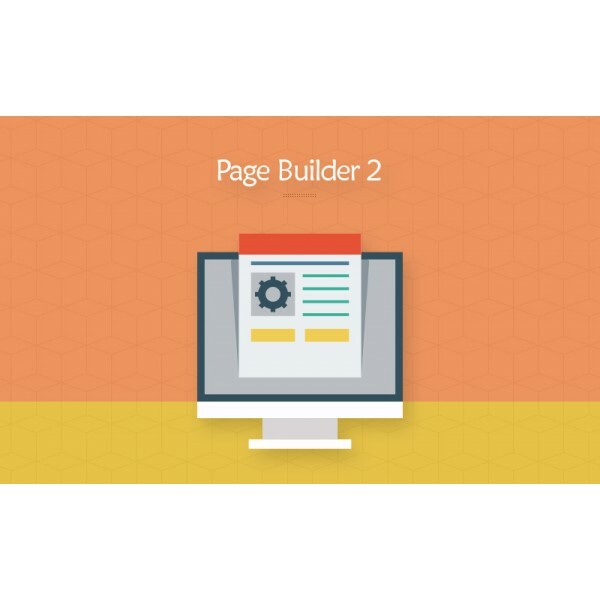 We offer you multiple styles & layouts for your choices. 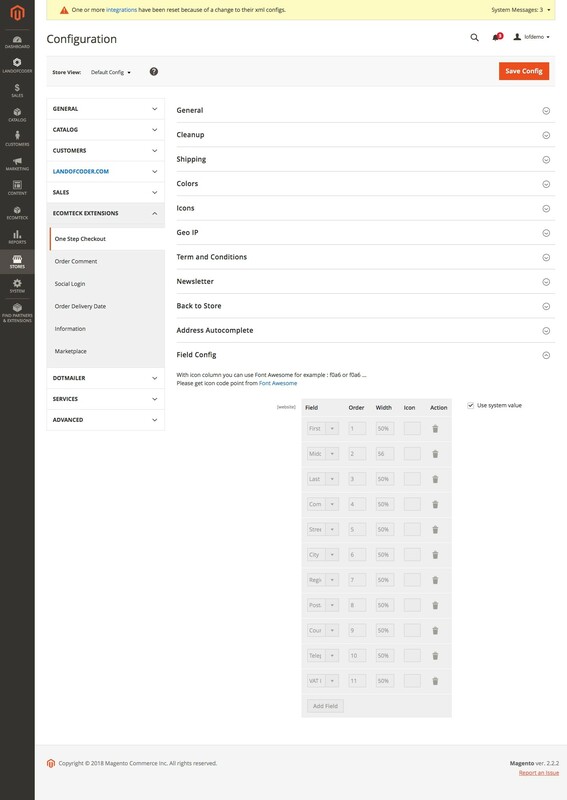 Especially, Magento 2 One Step Checkout support 3 page layout: 3 columns, 2 columns, style 1, style 2. 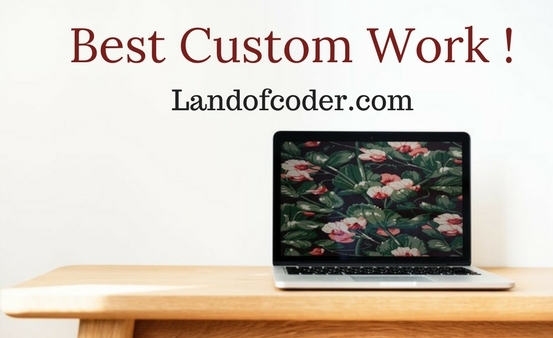 You can freely choose the best suitable one for your site. The configuration is well organized that help you take a full control of the extension. Moreover, it is also user-friendly. Hence you can save time and effort as much as possible. When our extension come to your website, you can easily change anything you want. 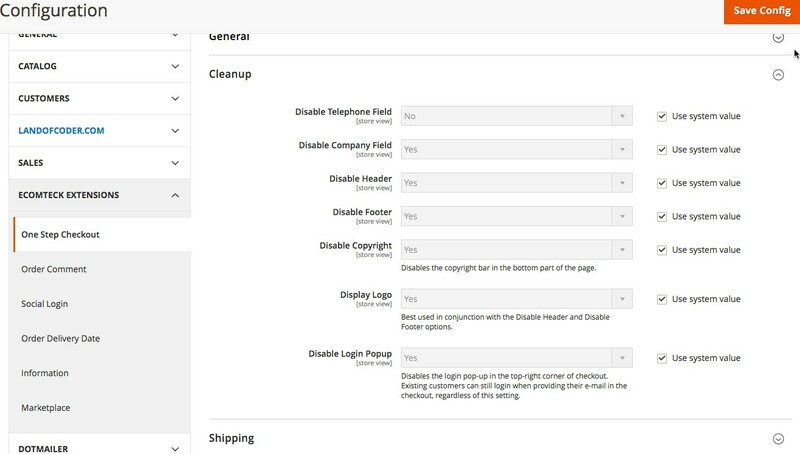 Especially in the action of disabling redundant fields in the one page checkout to make it more suitable with your brand & your service. 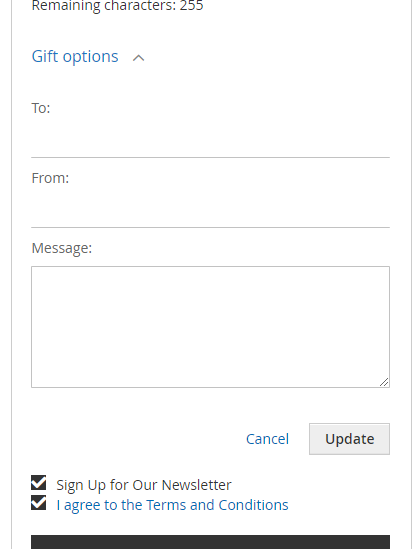 It is an easy way for you to keep in touch with customers by asking for newsletter. 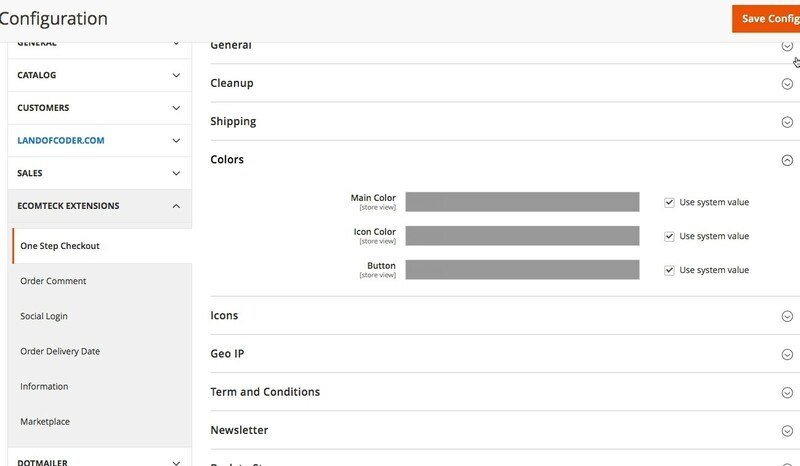 Only 1-click to enable/disable the setting to add a newsletter subscription component to the final step of the checkout. No doubt can be raised that whether our Magento 2 One Step Checkout extension is compatible with the most popular third-party extension or not. The answer is definitely yes. 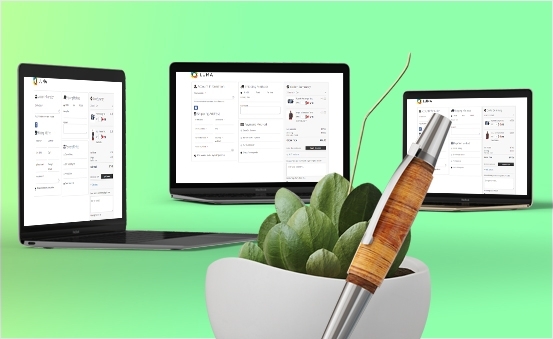 You can be totally comfortable & satisfied with 99% of the third extensions such as shipping/payment providers, loyalty extensions, credit module, or themes, etc. 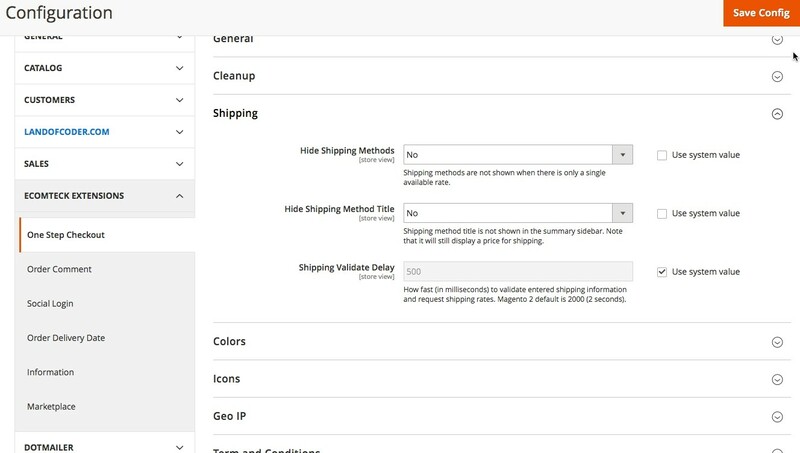 Not only can use ajax to update quantity of items in shopping cart, now One Step Checkout Pro can use Ajax to update any options, attributes. 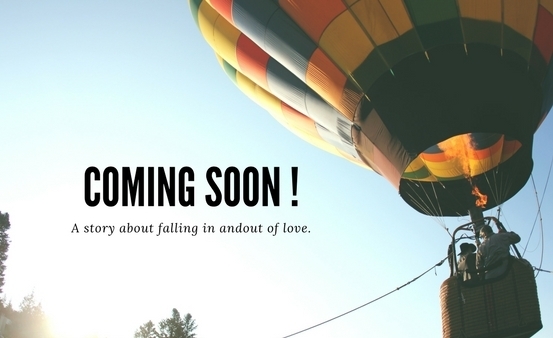 All things will be updated fast & exactly. 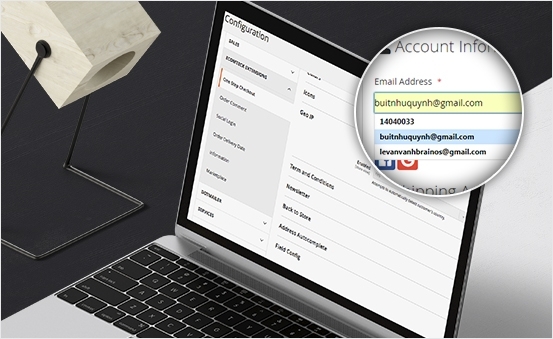 With our Magento 2 EE One Step Checkout, you can define new customer address attributes, and show them into checkout page when register new customer with new billing address. Magento 2 One Step Checkout EE will be compatible with Landofcoder Social Login Extension that can permit the login from any social accounts of customers,which can widen the scale of your products. 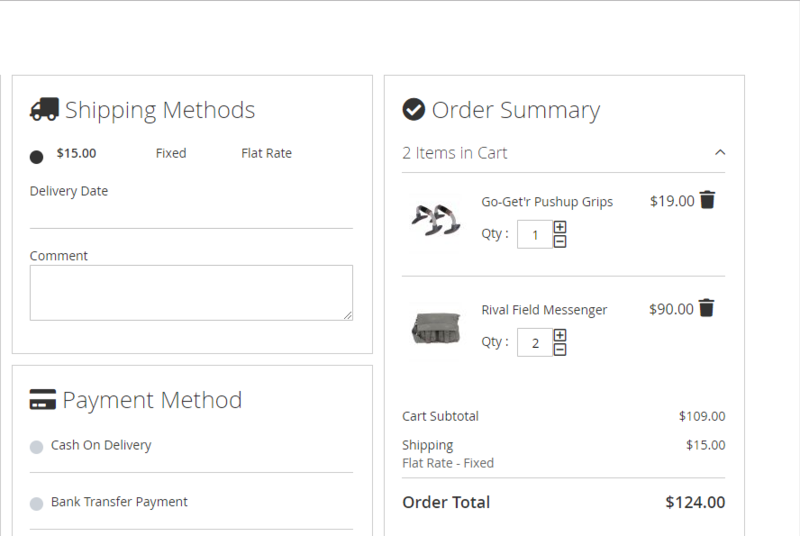 Magento EE One Step Checkout is supported with Store Pickup lets customers buy items online and pick them up in a store. 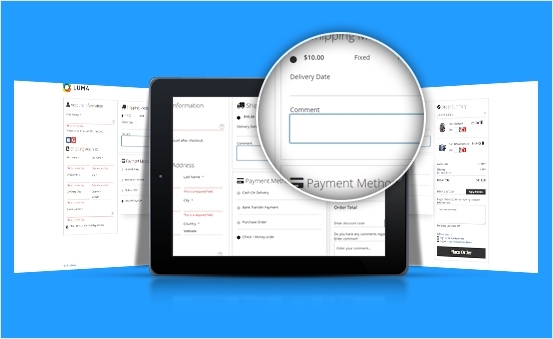 They can avoid shipping and scheduled delivery charges — and they may be able to get your order faster. Designed with Flat Style create your store both beautiful and charming. 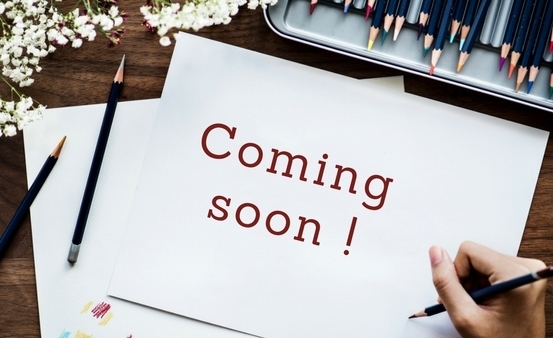 Without lots of added embellishments, it can be a clean and simple way to communicate a message or promote a product or idea to your customers. 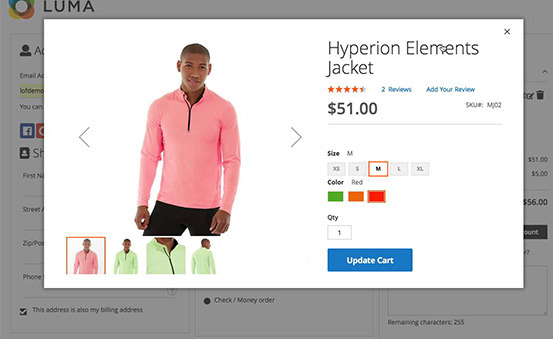 In Magento 2 one step checkout EE version, it is much better for you to change position of different fields, add new fields and do other activities in your store to make it most convenient. 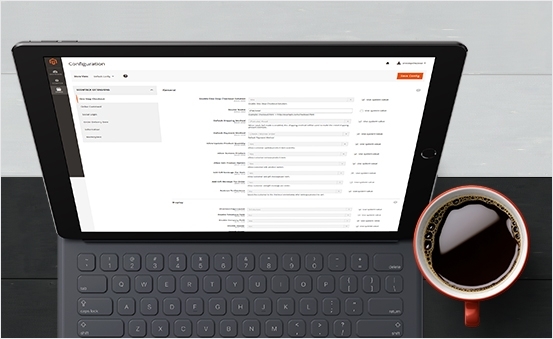 The one page checkout enterprise version let you keep track of abandoned checkout & all login address. 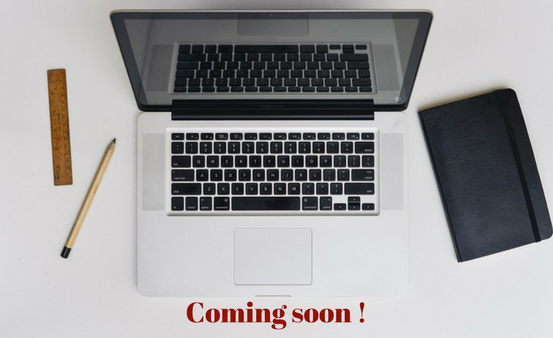 That can benefit for you to consult, motivate customers to purchase products & send email to all the potential customers on different occasion. 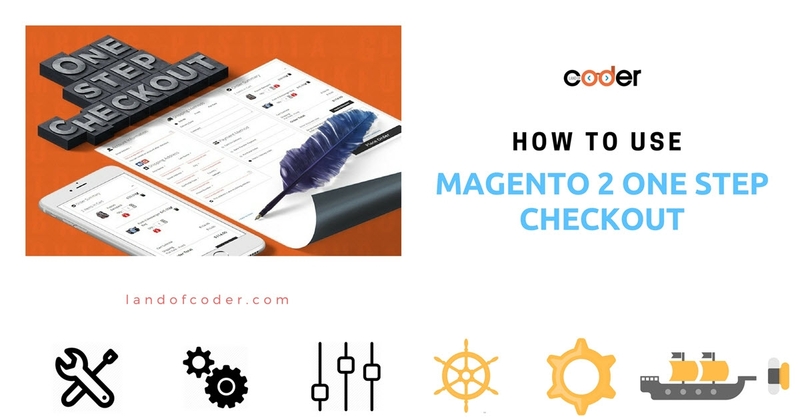 Instead of visiting lots of tabs to search for product and then coming back to the checkout page to add to cart, One Step Checkout for magento 2 EE provides you best interface that can help you do all those steps in only one page. I am very pleased with this extension. it's truly a powerful tool to grasp my customer's attention and boost turnover. Personally, the extension meets all my demands . T can fully manage and customize the data I need. 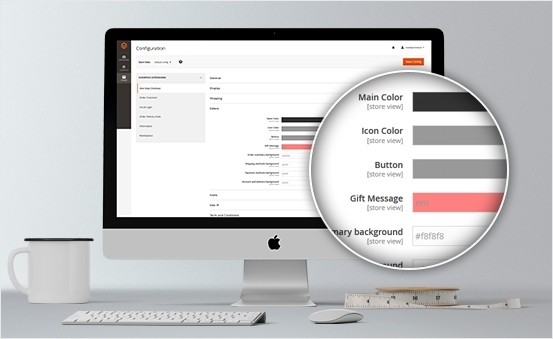 In Particular, it reduces large amount of abandonment cart which helps increase sales as a result. The quick response of the support team makes me fully satisfied. 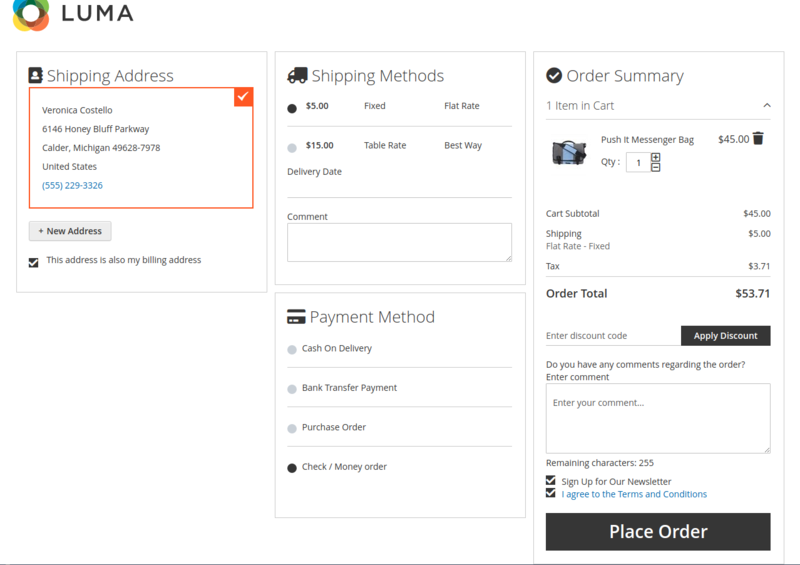 Magento 2 EE One Step Checkout is the best one page checkout extension I have purchased. 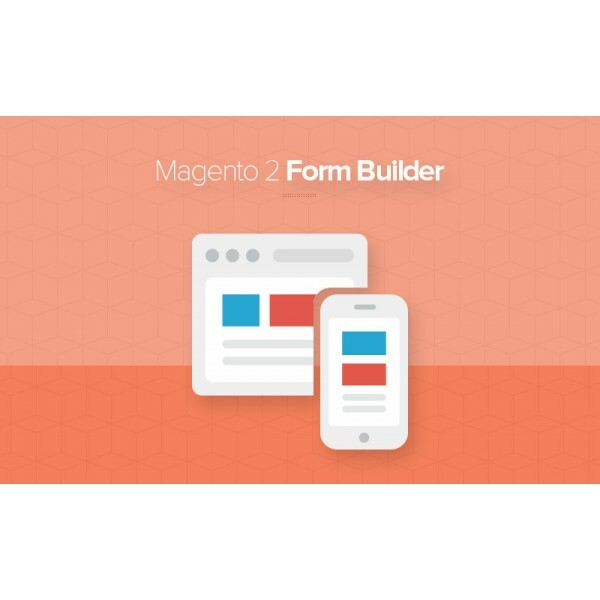 super easy to install and provides you everything your customers need. 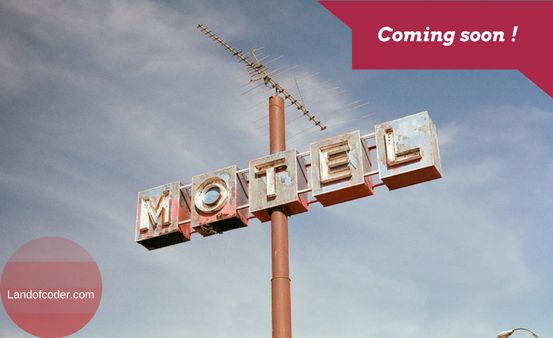 from a speedy checkout process to many added future which quickly increases conversion rate! 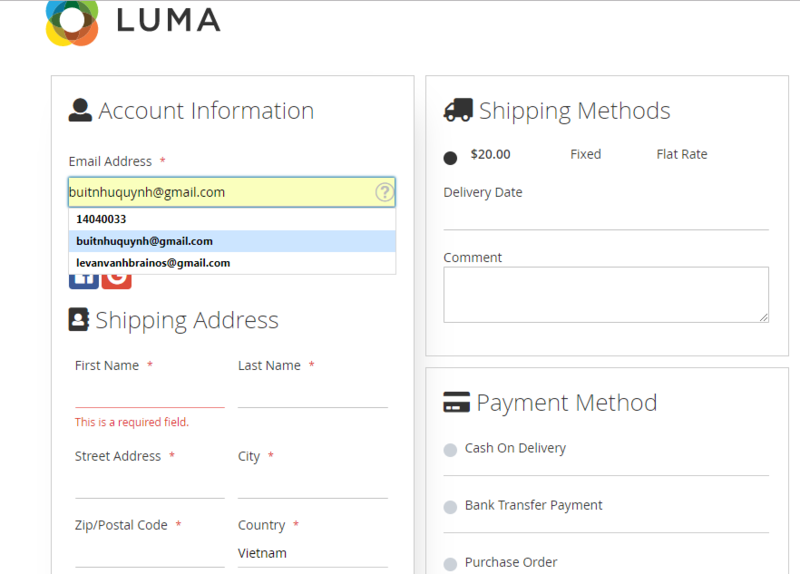 I'm using this module and find it much faster than the default checkout. Thanks a lot. Always wonderful support, fast interaction and take care guest carefully. 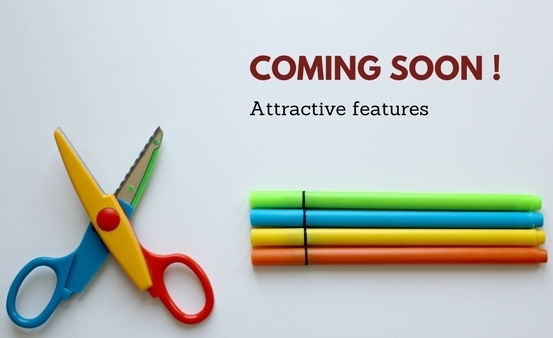 In general, this module provides a wide range of functions. It can catch my desire. I strongly recommend. 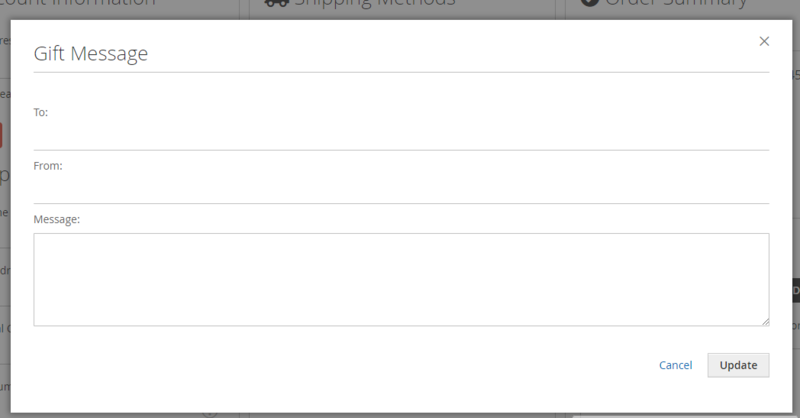 Thanks to the extension, the checkout process in my online store has been optimized significantly. Also, I got many good feedback from my customers. Thanks! 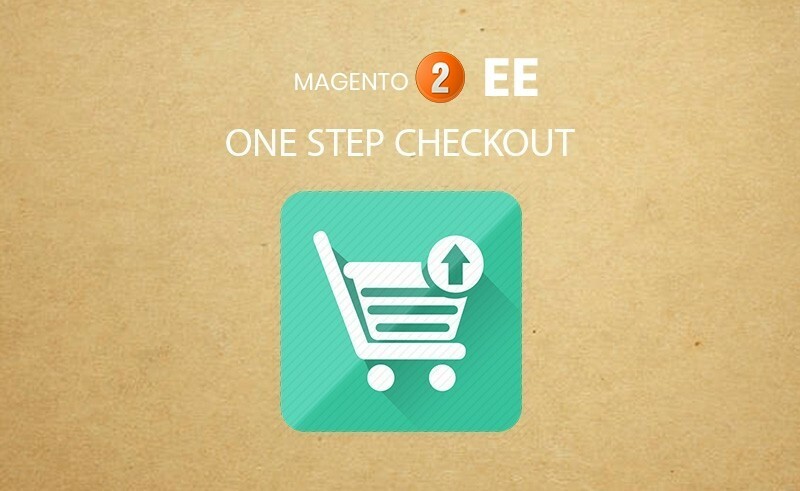 Magento 2 EE One Step Checkout provides users a lot of powerful functions to optimize stores. That's thing I like most!